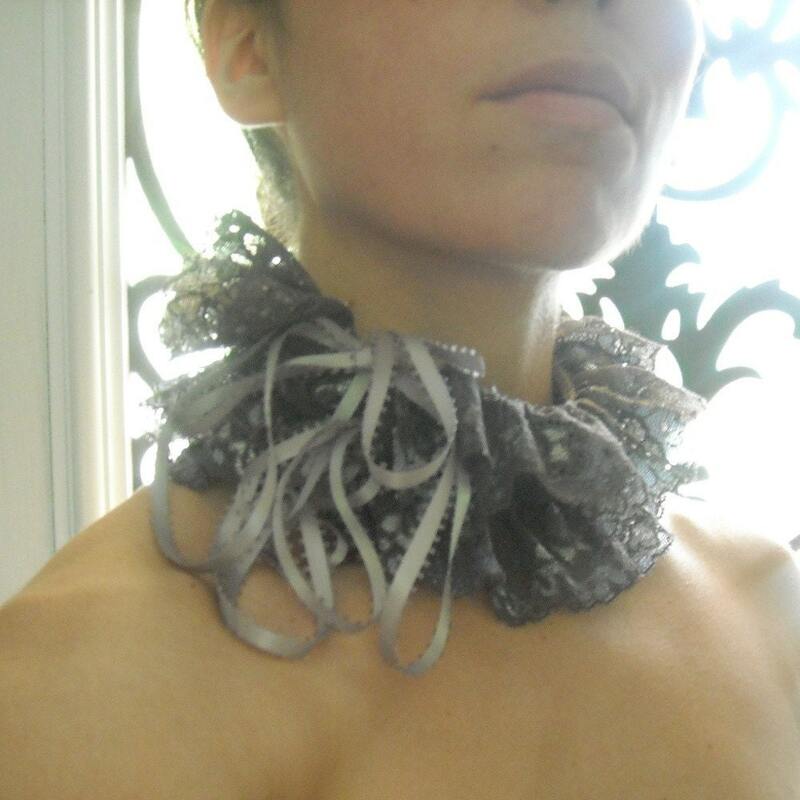 Margaret of Mifitchic creates beautiful romantic neck adornments. Tell me about yourself, Margaret. I'm a creative soul and a romantic who is neck obsessed. All of the items in my shop are created with much thought, care, and the hope that its eventual wearer will appreciate the its beauty! Upon graduating in both Fashion Design and Marketing studies, I accepted there was little enjoyment working for people in those industries. After recovering from a few surgeries, I recognized the inherent need to have an outlet for my imagination and relaxation. So, I began to practice yoga regularly and now find myself going into a mild, meditative state while sewing. As a child, I'd known I'd have my own business one day. I just had to find an appropriate outlet to channel my creativity. Through my yoga practice, I compelled myself to act on my creative obsessions-- sewing and drawing. Sewing won over. 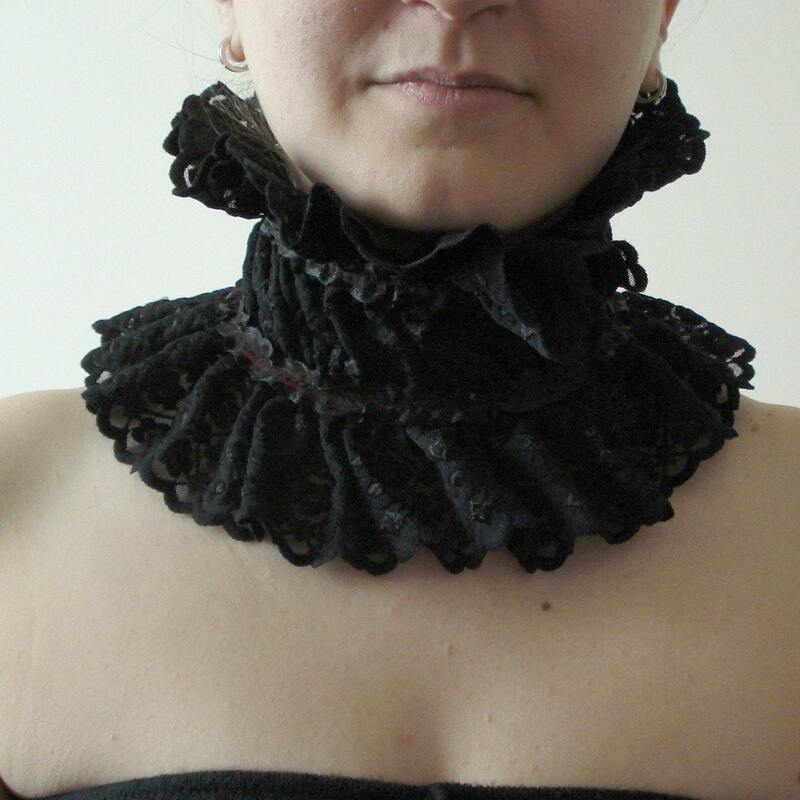 I'd always been obsessive over the beauty that a neck casts on the body, along with limited counter space at home, I'd decided to share my ruffled neck coverings at a time when no one else was making them. My main artistic influence came from a cherished childhood book I still own. The Johnstone sisters illustrated a book with characters from fairy tales wearing various romantic historic clothing that I'd always admired. Those moments in time when I experience infinite peace. Self-confidence. Having the courage to share something that you've created using your heart and mind can be emotionally challenging. That, and taking great pictures. It was a tie between an artist (painter) or a veterinarian for the longest time! 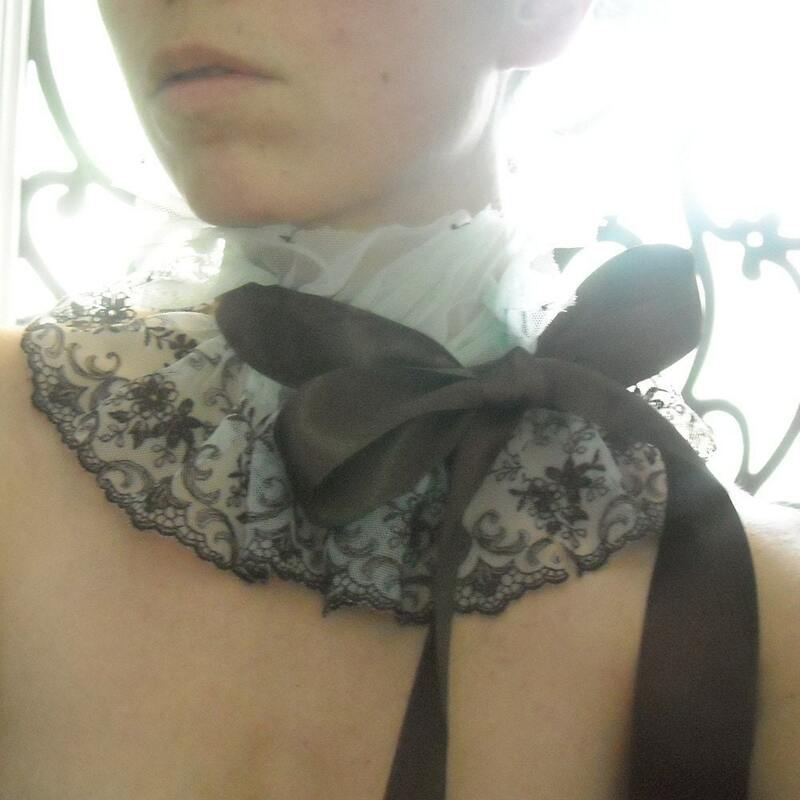 I loved this ruff so much that I had to make one for myself! Being a great mom and wife while continuing to develop and refine my artistic endeavors, and keeping in good health through regular exercise and eating sensibly.